The flail mower with spiral rotor and cantilevered flails ensures a perfect mowing of the grass. The robust Flailhead MP 90 also crushes smaller branches and twigs with ease. Free choice of flails adapted for different work conditions. L-flails can crush branches up to 2.5 cm in thickness. 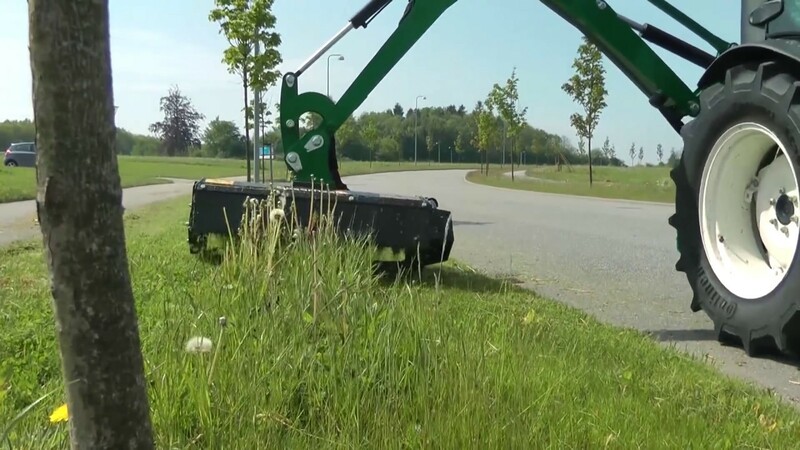 The hydraulic flail mower can be mounted on mini excavators or attached to Spearhead Twiga Compact reach mower which can be mounted on compact tractors. Flailhead MP 90 can be delivered with either Y-flails or L-flails. They are both mounted with shackles. The flails are mounted in a double spiral which provides a uniform flow and load. Boot flails mounted in shackles. Recommended for areas with lots of stones along with hedges and branches. Recommended for rough and stony terrain, where trimming quality is of little or no importance. Large capacity but trimming of a poorer quality.